This was the name of the Auto/Art Show held up at the Pacific Union College in Anqwin,CA yesterday. It was a warm, sunny day and their were lots of families with kids who spent time looking at art work, cars and interesting people as they walked about with their frosty drinks and corn dogs.The time went by slowly and many people stopped by to say hello and check out the new rocks I had on display. A gust of wind came up late in the day and blew part of my display over. Their were about five rocks rolling across the road as I scurried to pick up the signage. Luckily, nothing was damaged.Then around 6:40 pm, an eclipse occurred which made everything appear rather eerie. 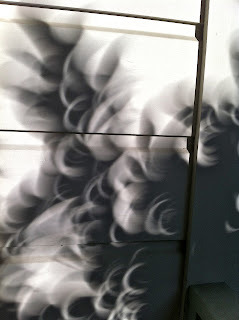 I took a picture of some shadows of leaves as they appeared against a building with wood paneling.Notice the shapes of the shadows are crests, just like the shape of the eclipse. This Summer Season on Thursday evenings from four until nine PM , I will be participating in the Chef’s Market in Downtown Napa on First Street. 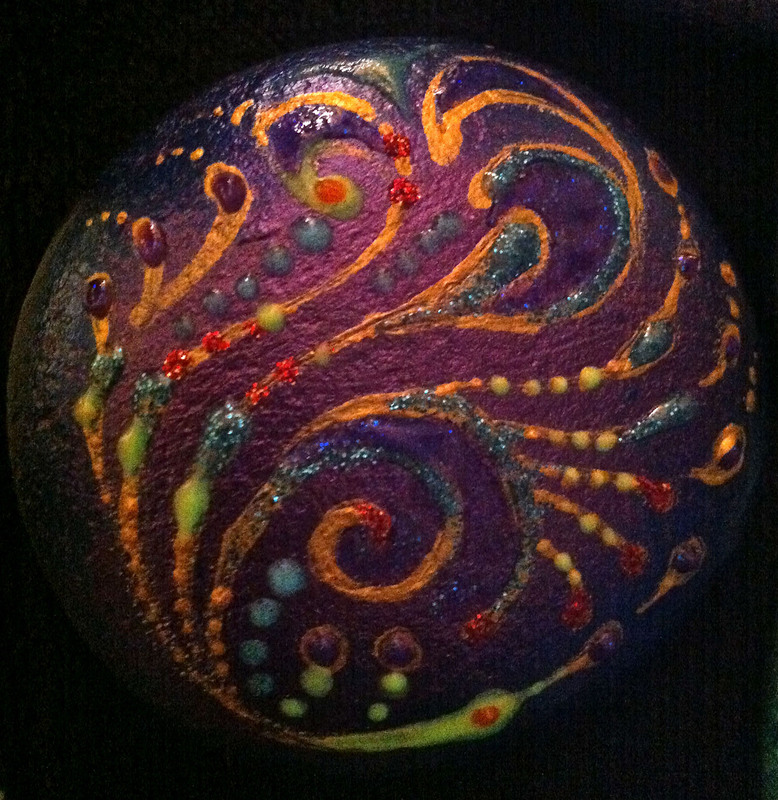 I have signed up with the Napa Valley Artists Association to secure a spot near the Music stage to sell the Spirit Rocks. I will also be participating in the Farmer’s Market on Saturday mornings from nine AM to noon on Washington street, next to the Community Center and Police station. Stop by and see what I have been doing all winter!